What are the Best Foods for Healthy Weight Gain? A common question many ask themselves is “What can I eat to help me lose weight?” but what about those who seek to gain weight? Although the obvious choice would seem to be eat lots of donuts, ice cream, and junk food, it’s important to be mindful of healthy foods that will allow you to achieve your weight gain goals the healthy way (in addition to regular exercise). If you’re wondering what the best foods for healthy weight gain are, you’ve come to the right place. Eggs are a great source of protein along with many other nutrients. One egg contains Vitamin A, Vitamin B5, and Vitamin B12, among many other nutrients and minerals. 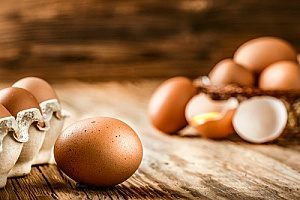 Additionally, pastured eggs have Omega-3, an oil that helps lower blood pressure, that is found in the egg by way of its mother chicken that birthed them, thanks to flax seed feed. If you’re looking to gain weight fast and healthy, add an egg to your morning breakfast. Already eat eggs regularly? Add one more than you normally do and see if you start to see results. Many people eat rice often, not realizing the right amount could contribute to their weight gain. However, if weight gain is what you’re going for, you may want to add this to your diet ASAP. What gives rice it’s potential to help you in your journey to healthy weight gain is the combination of protein and rice. Combined, rice and beans gives your body what’s known as a “complete protein” giving your body missing amino acids you can’t get with just rice or just protein. This makes for a great contender in the mission for healthy weight gain. Beans are considered a very healthy food; so, does it belong in the weight gain category? Yes! Depending on how you consume the beans and what kinds will depend on just how much weight you’ll gain and how often. Eating beans like chickpeas, soybeans, and white beans in high consumption, say 1-2 cups per day, you’ll find yourself gaining weight little by little as the weeks go by. For even more weight gain, add your bean portion to your rice portion to increase your weight gain even faster. Many people enjoy all types of nuts as snack, not realizing the quantities of healthy fat nuts provide. However, if you’re looking to gain weight in a healthy way, nuts and legumes will be your best friends. These foods are dense in calories, which means more pounds will be added more frequently for as long as your regularly consume them. Some of the best choices for your weight goals are almonds, peanuts, and cashews. Additionally, you can eat the “butter” or “milk” version of these foods, including almond butter, peanut butter, and cashew milk to get your protein is a different form. As we continue to talk healthy food, we can’t forget about vegetables. Consuming the right vegetables will be pivotal on your way to gaining weight healthily. 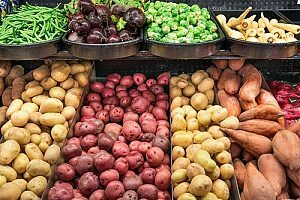 Vegetables like corn, potatoes, yams, and squash have the starch and carbohydrates needed to help you gain the weight you want. Additionally, when eaten with protein, it can give your body the same effect as rice with protein; you’ll get your complete protein with considerably less effort. It’s also important to mention that these starchy foods help your body to gain weight by increasing your body’s fuel source during workouts; this “fuel” is known as glycogen and it’s essential to your path to healthy weight gain. Remember we mentioned Omega-3 fats in your eggs? Well, that fat originally comes from fish, such as salmon. A salmon filet is lean in meat but that lean slab will give you a good amount of calories and the right fats to help you on your healthy weight-gain journey. While you’ll be gaining more weight from all your careful food selections, know that the healthy fish you consume will simultaneously help your body fight disease and other health issues. There are numerous benefits to eating fish, and for you, the most important one is contributing to your weight gain. There are many ways to gain weight and, believe it or not, you can gain the weight in a way that maintains your health. As with all health articles, it’s best to observe the information, write down what you think will work for you, then consult your doctor about what you should incorporate into your diet. We know you’re only interested in the best products for your wellness. That’s why you need dishware that matches your health concerns. Kangovou, your bento lunch box company, offers the best in BPA-free dishes, utensils, lunchboxes, and more. Learn more from Kangovou.com about how bento lunch boxes can help you portion your meals for the perfect weight gain meal planning program.